This feature is sponsored by Kobo. Check out their line-up of ereaders and tablets or download their iOS or Android app to read on your device of choice. 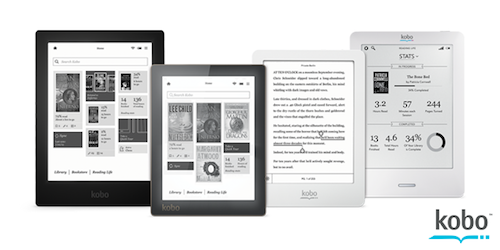 And remember, purchases through Kobo can support your local independent bookstore. We love to geek out with stats, and what could be better than using them to see which books Book Riot readers were most interested in? Below are the five most-clicked-on titles from the previous month. A new twist on the classic Beauty & The Beast. A new title from the author of Speak and Wintergirls is always a bookish event, but this title is very special: Halse Anderson turns her empathetic and thoughtful pen to the world of Post-Traumatic Stress Disorder. We follow the compelling and sometimes devastating Hayley as witnesses her Iraq veteran father’s struggle with the memories that haunt him. To serve in the king’s army, Alex must disguise herself as a boy. Then she’s taken captive.